Trinity is applicable to blockchain transfer of NEP-5 standard tokens. As a Neo-version lightening network, Trinity achieves real-time payment, low transaction fees, scalability, and privacy protection of Neo mainnet assets through state channels technology. Trinity adopts state channel technology as an off-chain scaling solution for Neo. By providing a series of solutions, such as protocol layer, pluggable services, customizable services, free basic services, and incentives for value-added service providers, Trinity offers convenient, fast and safe blockchain services to users. 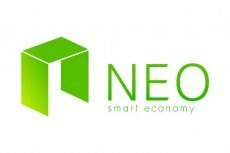 Can NEO Keep Up with Developer Demand? NEO, which already supports a wide range of commonly known languages, is not afraid to face intense developer influx – scaling solution seems to be found.